Growing up, with five channels on television, popular culture united children everywhere. Fortunately it also provided a venue for a number of talented people that have affected my life in ways that I could never successfully articulate; Jim Henson, Glen A. Larson, Stephen J. Cannell, Sherwood Schwartz, Kenneth Johnson, William Hanna and Joseph Barbera, and Sid and Marty Krofft. Throughout my childhood, Sid and Marty Krofft brought imagination and verisimilitude to Saturday mornings. Among their work that will exist forever in my heart as “comfort television” simply because of the joy they provided me as a child are such shows as H.R. Pufnstuf, Land of the Lost, Sigmund and the Sea Monsters, Bigfoot and Wildboy, Lidsville, Electra Woman and Dyna Girl, Far Out Space Nuts, Wonderbug, The Bugaloos and Dr. Shrinker. 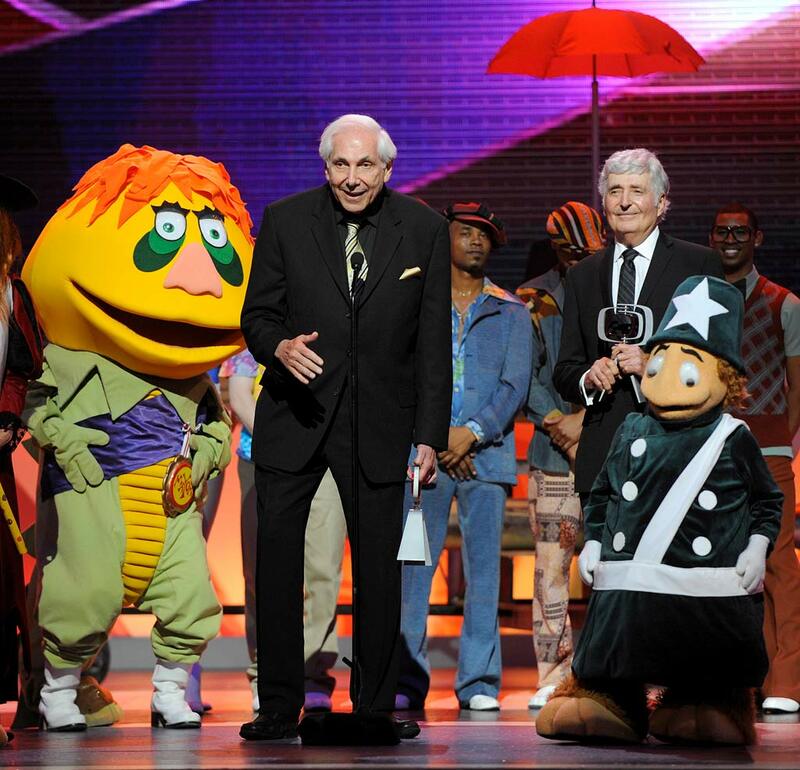 Last week, prior to his appearance at Comic-Con, I had the pleasure and honor to speak with Marty Krofft about his past, present and future work. Were you and your brother, Sid, close as children? Well actually, not, because he’s eight years older than me, so he was off and running, doing his act, while I was still going to school. How did your professional relationship begin? Actually, he needed some help in his act, and I was in New York working and going to school, and he wanted me to come join him. I think it was at the Flamingo with Judy Garland. He was the opening act. Now, I had read that Pufnstuf was originally conceived as a Western, which is why he had the cowboy boots and the hat. Is that accurate, and how did it evolve into the series that was eventually broadcast? Well, you know what, I don’t know where you got that from, but I don’t think that’s right. I think that Pufnstuf was patterned after like a Jim Nabors kind of character. One of the things that’s kind of a common theme throughout many of your series is the theme of “a stranger in a strange land”. Was that intentional? Oh, you know, we’ve always taken the kids to the places that we did the shows. A collaborator of yours, Si Rose, said that Sid did the dreaming, and then you would make it happen. Do you think this is a fair assessment? Yeah, I would say that’s right. Because whatever creative that I contributed was, I’m sure, somewhat substantial. I was rethinking everything. If an idea came up, and it didn’t work, then we would try to discuss it without having an argument, since we’re brothers. Most of your successful shows only lasted a season or two. Land of the Lost made it to three, yet they ran for years and years. Were the shows initially cancelled, or did you design them to just run for a limited amount of time? With Pufnstuf, they picked it up, but they only offered us a few pennies more to do it, and we already had lost close to $1 million the first time around. NBC only pays us $54,000/half hour, and the shows cost close to $100,000/half hour. So that one we turned down. In some of the other cases, they only wanted to do stuff that was theirs. 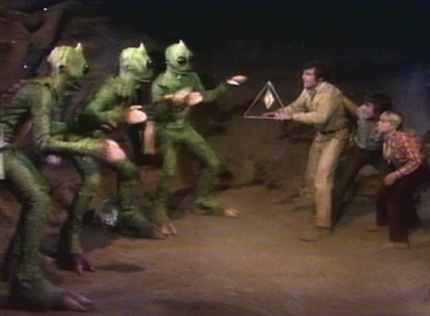 Of course, by the time we got to Land of the Lost, those people that were at the network were still there, and the show was such a hit rating-wise, that they just kept picking it up. To have 43 episodes on Saturday morning is really unusual. When the Pufnstuf movie was made, and it had also been done with Batman, during the first season, they decided to do a feature film. The Pufnstuf movie is a prequel, encapsulates the series, and then a sequel in itself, and it goes further. Was that always the intention, that it’s it’s a self-contained entity? Not really. These things aren’t thought through that well. That’s true. It was the middle of October, and I went to Lou Wasserman at Universal who I knew – he ran Universal – and I asked him if he wanted to do Pufnstuf, which he’d never heard of. And we had a Life Magazine big story at the time, and the show was doing big in the first month-and-a-half. So he said, “Well if you do that, I’ll do that,” figuring he’d never see me again. So I went to Battle Creek, Michigan, sat with the chairman of the board. He fell asleep during the meeting. He woke up just in time to say yes. So I went back to Wasserman and we pulled that all together. Your shows, especially at the time, were a departure from other children’s programming. They were very colorful, they were surreal. As a kid, I thought some of them were scary, but they really come from a singular vision. It’s kind of an unusual thing with producers, but would you consider the work of you and your brothers as auteurs? Well, you remember, when we came in with Pufnstuf, the networks were loaded with animation, so this was one of the departures. And of course, we had already worked on live action before. It wasn’t our show; it was Hanna-Barbera’s. Kellogg’s and NBC would come to our studio, watch the progress of The Banana Splits, and that gave them the comfort level to pick up Pufnstuf. We were asked to do that by the head of programming. Land of the Lost also featured some fairly prominent science fiction writers, like Larry Niven and David Gerrold, among the writing staff. Were these people you went after because of their pedigree? Or, did they come to you? Well, I don’t know what happened. But, I do know that, when Star Trek was cancelled, that was about the time we were doing Land of the Lost, so those writers were available. So, we probably went to them, and we got a number of those people. It was a big addition. How do you think children’s programming has changed since you were producing for Saturday mornings, and do you think it’s gotten better or worse? Well, I don’t know. I think that it’s gotten both. There are good shows on, and there are shows on that are not our favorites. But, to tell you the truth, don’t ask me about the shows, because we never watched other shows when we did our stuff, whether it be primetime or Saturday morning. We created this thing really from scratch. In the last decade, decade-and-a-half, there were definitely shows like Pee-wee’s Playhouse, and Yo Gabba Gabba, which are obviously influenced by your work. Are you familiar with them at all? Yeah, I know those guys really well. Paul Reubens called me on the phone two weeks ago. If it wasn’t for us, he wouldn’t have had that Pee-wee Playhouse and that career. And we met with the guys who did the other one, and they totally use our show as a path to what they’re doing. I know there’s a Lidsville feature film at Dreamworks and, also, what is the status of Pufnstuf and the Sigmund and the Sea Monsters features? Well, I think that Pufnstuf is in good shape. (For Lidsville) We’re putting together a team. It’s a musical, so we’re putting together the music writers and the writers. Although, I can’t talk about them. They’re not signed. We’re really lucky to find the music guys. One of them has won an Academy Award (Alan Menken), so we’re in good shape. Is Pufnstuf still in development, and Sigmund and the Sea Monsters? Oh yeah. Pufnstuf still is. It’s currently in redevelopment. 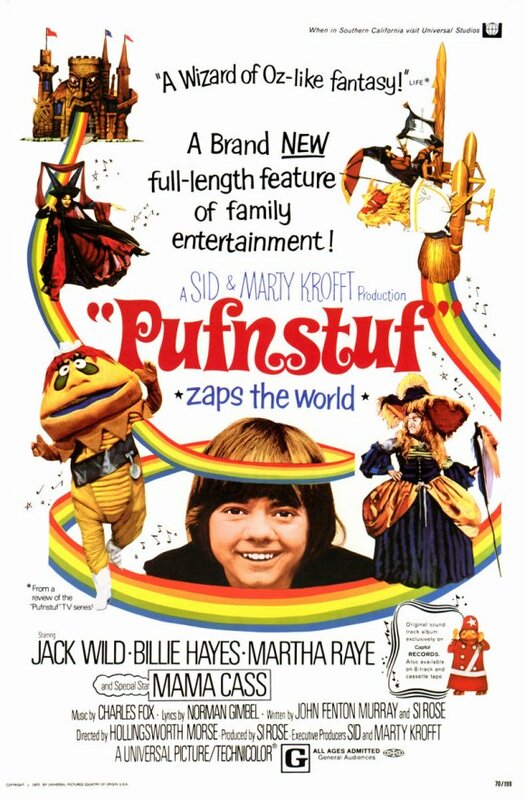 Pufnstuf has been developed a few times, and now we hope that we’re going to get there. And Sigmund is being re-developed right now. So, it’s a slow process. We’ve got to be patient. Would you want to ever reimagine your shows for television? We’re working on The Bugaloos for television, and we’re partnering with T-Bone Burnett. It’ll be incredible in the music area with him. Do you have a favorite among your series? Well, it’s always the first series that you do, which Pufnstuf, and that’s probably my favorite, and my brother’s favorite. Land of The Lost: The Complete Series, Pufnstuf The Movie, Sid & Marty Krofft’s Saturday Morning Hits and H.R. Pufnstuf: The Complete Series are now available on DVD. Sigmund and the Sea Monsters: Season One arrives in stores on September 6th! 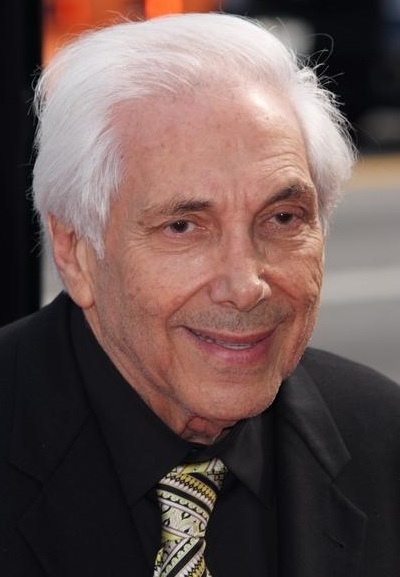 Visit the Official Website, The World of Sid and Marty Krofft.